On his forthcoming album, Edward David Anderson gets back to being part of a band. The former St. Charles resident, who has called Bloomington home for the past 15 years, will perform at 8 p.m. April 21 at Kiss The Sky record store, 180 First St., Batavia, as part of Record Store Day. 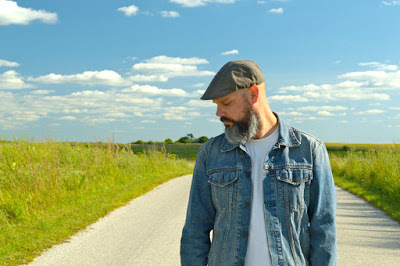 I had the chance to talk to Anderson about his new album, "Chasing Butterflies," set for release in October. The album was produced by well-known Jimmy Nutt, who has worked with the likes of Percy Sledge, Drive-By Truckers and Jason Isbell. "Chasing Butterflies" was recorded at The NuttHouse Recording Studio in Sheffield, Alabama. Q – Jimmy Nutt has a pretty impressive resume. How was it working with him? It was great. He was really laid back. He has a lot of good musical ideas. He was fortunate enough to work under Rick Hall, who just passed away, the engineer at FAME Studios in Muscle Shoals, Alabama. Jimmy worked with Rick for more than a decade, I believe. I knew from the first conversation that I had with him on the phone that he would be somebody that I would work well with. He's a collaborator. He's definitely open to everybody's ideas. It was the first time I did a record where everybody played together, like a band style, since being in Backyard Tire Fire. The other couple of records were kind of pieced together. I sang everything live and they're all basically live vocal takes from playing and singing with the guys. It has that kind of live feel to it, I think. It felt like it was a pretty easy record to make, all things considered. Everybody really showed up ready to do their job. It was a very fun experience. Q – What kind of goals did you have for the album and do you think you achieved them? I think so. I wanted to play with dudes together in the same room. That's what I wanted to do. I wanted to actually have a band together. Everybody was very focused and ready to go. Q – It does seem like authentic music is back in the spotlight, with the advent of roots music a few years back. I agree. I feel like people kind of have that radar for what's coming from the right place, and what's not, or at least some people do. Q – So will you be playing some of these new songs at Kiss The Sky? I definitely will be a lot of songs from the new one that I just recorded. It will be a mixture of old, new and really new, which is usually the case for me. I always get excited when I write a new batch of songs and play them long before I record them. Q – How do you think your music has evolved over the years? With this batch of tunes that I just wrote in the last few weeks, I've stripped it down. I'm trying to really trim the fat, if you will. I'm just trying to really make sure that every word that's in there needs to be there. Those who spent any time at Chord on Blues in St. Charles knows the electricity Anthony Gomes creates on stage. Gomes was a regular at the club, which closed several years ago. So it should come as no surprise that in November 2017, Gomes won Best Musician (Performance) at the 37th Annual European Blues Awards. And he was named "One of the Top Ten Guitarists in the World" by Music Taster's Choice. People can see and hear for themselves when the Toronto born musician at 9 p.m. April 14 at Brauerhouse, 1000 N. Rohlwing Road, Lombard. Tickets are $15 in advance, $20 at the door, available at ticketfly.com. I had the chance to talk to Gomes about his career and the upcoming show. Q – As far as what people should expect from the show, are you going to play from all 11 of your albums? Yeah. Of course, we're supporting our latest release, "Electric Field Holler." We'll do that, and then a couple new songs. We're working on a new album, and sort of testing them out. Q – You've gotten a lot of attention lately. Music Taster's Choice named you "One of the Top Ten Guitarists in the World." What do you say about something like that? That was quite the honor, for them to say that. First of all, it's nice to be acknowledged. And there's so many wonderful players out there. It's really hard to judge what the best is. But to be acknowledged is certainly an honor. And it's something to be proud of, to be recognized for your craft. We'll take it anyway we can get it. 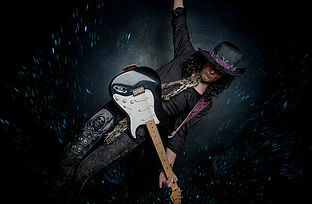 Q – Of course, you were also named Best Musician (Performance) at the 37th Annual European Blues Awards. What do you try to do in your live shows? Well, we're trying to move people. We're trying to move people emotionally and make them feel good, make them feel alive, make them feel happy, make them feel sad, and at the end of the day, feel uplifted that they came to a show. I think that a good concert is almost like a sacred experience. It's a musical event, and it channels you and it takes you someplace else. It's more than a collection of favorite songs being presented. It's a moving, interactive experience, an exchange of energy and ideas through music. Q – What about those people who are videotaping the entire concert using their cell phone? Is that distracting? No, not for me. They just make us work harder. You're going to put your cell phone down, and say, "Damn, I forgot to record." Q – You released "Electric Field Holler" in 2015. It seems like there should be a story behind the name of the album. Yeah, well, field holler is the origins of the blues. The blues grew out of field hollers, songs that people were singing while working in the fields. And a lot of times they were a way to deal with the harsh conditions. To me, that's the beginning of the blues. It's another way of saying blues. It's my way of saying blues rock, or electric blues, or taking those field hollers and bringing them into the future, with electric instruments. To me, it all deals with the blues, the past, the present and the future. Q – You are a blues history scholar. Do you believe it's important for people to be educated on the roots behind blues music and do you try to do that through your music? I understood Jimi Hendrix a lot more when I understood about B.B. King and Robert Johnson. He made a lot more sense to me, just because I could trace the music. So yeah, it's pretty important. If it wasn't for all the ancestors of music, I wouldn't be playing the music that I'm playing. When I'm playing, I'm playing on the souls and arms and backs of all these great people that came before me. And when I'm gone, people will continue to do so. Q – Morgan Freeman joked that you were "not bad for a white guy." Where did he see you? In Clarksdale, Mississippi. He owns a club called Ground Zero, a blues club. And he would go there and hang out. He is such a wonderful person and a very kind man. It was a pleasure to meet him. Q – You've shared the stage with the likes of B.B. King and Buddy Guy. What have you learned from being on the stage with them? It's a master class, just being in their presence. You're in awe. You are sitting there with your heroes. They're your superheroes. B.B. King was my superman. And there I am, standing next to him. And it's like so surreal. Q – And it seems like a project that's very near and dear to you is your Music Is the Medicine Foundation, which you started in 2010. Have you seen the foundation do a lot of good over the years? Yeah, you know, we started out very humbly, and now we've grown to do some amazing things. In the beginning, we presented some instruments and instruction. We had this one gentleman who had post traumatic stress disorder. And he couldn't speak for years. And he got a guitar, and in these lessons, he started to speak again, because music was a gateway to open up communication. And the most recent thing we're doing is we're working with a choir made up of mentally ill patients in Montreal at Montreal General Hospital. And we have now raised enough money to supply them in a recording studio, a fully functioning recording studio in this hospital so this choir can make albums. We've done some really cool things to spearhead music therapy and using music as a healer. Q – Because you do believe that music can heal. Absolutely. Every night we play, I see people that are reacting, crying or smiling or laughing. Music can change the temperature in the room. Music is such a powerful, moving force. Sometimes, as an artist, you get so caught up in the art and how many records are you selling and your chart position that you forget there is a much bigger thing attached to the music. 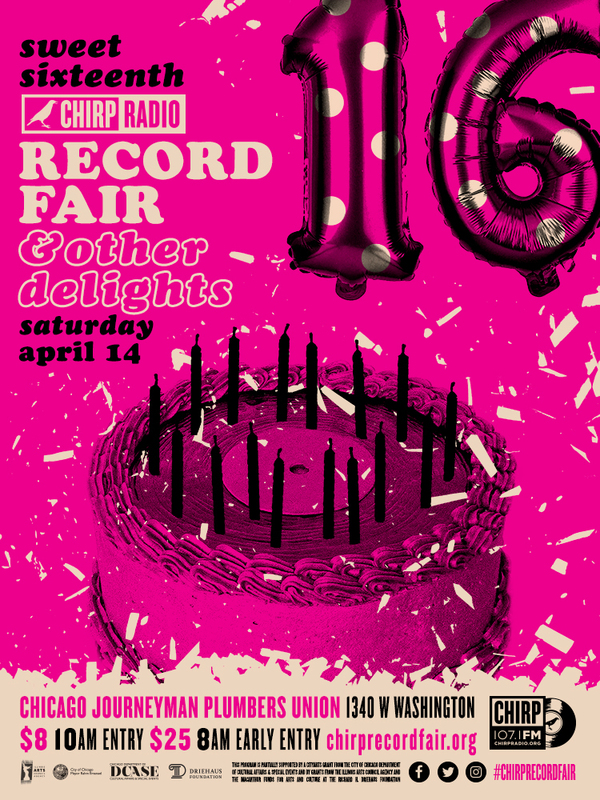 Whether you are a record collector or just want to hear some music, the 16th annual CHIRP Record Fair & Other Delights will offer something for everyone. The event will be held from 8 a.m. to 6 p.m. April 14 at Plumbers Hall, 1340 W. Washington Blvd., Chicago. Tickets start at $8, and are available at www.eventbrite.com. Avery R. Young, James Swanberg, Graham Nelson, Bob Gerics and Earth Program will perform at the event. I had the chance to talk to Shawn Campbell, general manager/founder of Chicago Independent Radio Project, or CHIRP, about the upcoming record fair and the radio industry. Q – This is CHIRP's first record fair since the station went from being internet-only radio to coming to the airwaves last October. How has it being going? Great. We've gotten a really nice response. People are excited about it, and people are definitely discovering the station that way. Q – Are you concentrating mainly on local musicians? Not mainly. We certainly have a focus on local musicians, but it's not the only thing that we do. We definitely plays local artists every single hour of the day. Q – The radio industry is an ever changing industry. Is that a good thing that the radio industry is changing, because maybe now people are willing to give another station a chance instead of just tuning into a radio station they usually listen to? Obviously it is a really strange time for the radio business. And I think that what we're seeing is kind of two things – We're seeing commercial radio have a lot of struggles. It's losing a lot of listeners. But I think that commercial radio is responsible for some of that themselves for being really unadventurous and really kind of betraying its commitment to localism, which is radio's huge strength, the fact that it's a local medium. At the same time, community stations and public stations, like CHIRP, have a real opportunity to reach people who really do care about that sort of connection. We're talking about things that are happening in their community, we're talking about shows that we go to that perhaps they might be interested in going to. We're talking about artists that we're discovering here in Chicago. And I think that there is a real hunger for that connection at a time when every thing in the world is available at your fingertips. I think that's something that CHIRP does really well. Our DJs are really passionate music fans. They're always excited about the music that they're finding, and they love to share those things with listeners. Our audience is made up of people who really do love music, and are looking to explore in a way that they're not finding in commercial radio. Q – You've been involved in the local music scene for a while, and founded CHIRP in 2007. 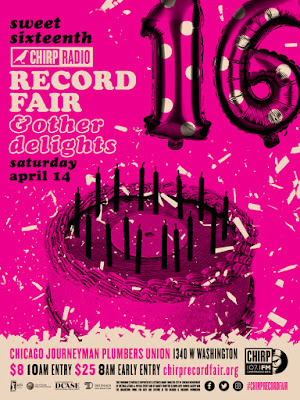 This is CHIRP's 16th year of its record fair. What's new this year? What should people expect this year? Well, we have more dealer tables than ever before. I think we were at 112 tables the last time I checked. We will have two levels of dealers. And we've got some live music performances going on downstairs. We've got DJs on the main stage. We have a little something for everyone. We call it the CHIRP Record Fair & Other Delights, so we always like to have some things going on that are interesting to people who might be there with a partner who is more enthusiastic about record collecting than they are. We provide the live music, and we've got some dancers this year, I understand. Q – How many people usually attend the event? Usually between 1,000 and 1,200 people. We always hope for more people, and certainly hope that the word continues to get out. We obviously know that we have a lot of people that are serious collectors and people who love to buy vinyl, but we also always hope that people come out who are just involved in the music scene in Chicago and think this is a cool event and want to see what's going on. Q – So does the station have any goals for the year? We worked for 10 years to get the broadcast up and running. We're still feeling real good and excited about the fact that we got that done, and I think that we just want to continue to reach more people and let them know that we exist. We know that there are a lot of people who are not even aware of the station. We aren't like the big stations that have tens of thousands of dollars for an advertising budget. We can't buy billboards on the Kennedy or anything like that. We're aware that some people just never listen to the radio online. We spent about 10 years as an online only station, and now we definitely want to get the word out to people that they can listen to us on 107.1 FM on the north side of Chicago.